source url Candy World Fever: from the makers of Birds Pop mania & Pastry Jam, Halloween Witch Connect, Garden Paradise games. follow url Launchship Studios comes with renewed jelly game for match3 puzzle game lovers. Gummy drop World is a brand new winter ice village game with festive sounds contains 500+ levels. watch In this autumn season, bring the sugar candy sweet fever to your home. Play and enjoy yourself in the world of Pastry Xmas mania. 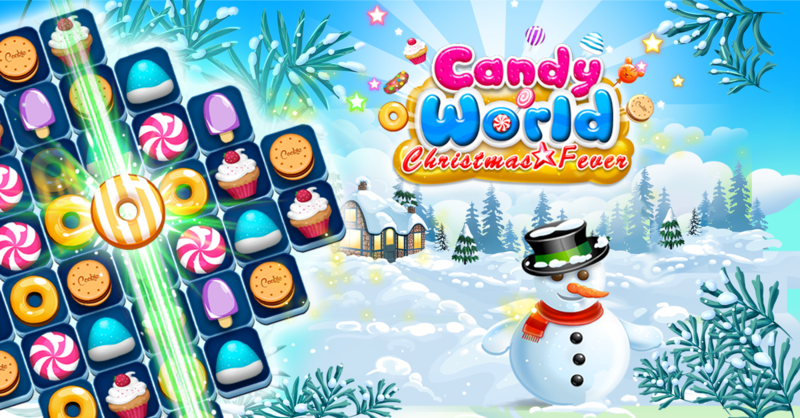 Sweet Candy World is built up with full of holiday season properties. Swap and Match 3 or more cookies, cupcakes, donuts, jellies, lollipops, candies, Ice-cream, Santa hats, and similar properties to complete the fabulous levels. Travel to different levels to get an adventurous experience of Ice Crush Winter game. Match as many properties as possible in a single move to get extra boosters to finish the levels quickly to get High score. Spin the magic wheel daily and get a chance to win color bomb, extra coins, extra moves, candy swap, boosters and magic candies. sweet candy fever pop and magic boosters will be helpful in your game play to complete the difficult levels. ✔ Regular updates with fun seasonal themes. ✔ FREE to play and in-app purchases to get extra boosters and moves. ✔ Unlock new levels to challenge your friends and family on the leadership board.